Hello, I was trying to find the best place for this, and this category seems closest to what I need. I am a computer instructor at a career college. I am planning a project for my students, and wanted to see if there were any major pitfalls to this that I was not seeing. I am planning to build an oil cooled computer, in an acrylic enclosure. It will have an external radiator (leaning toward a car radiator) with fan cooling for the radiator. I know that the major concern for most of the people that have built one of these has been the temp of the oil. I am planning to take this project one major step forward from every other design I have seen, and submerge the system case in a 55 Gallon aquarium. OK, so my main question to you all is, does anyone have any idea how much cooling effect the water will have on the oil. I am using a 48x12x22 in aquarium, so the aquarium has a lot of water surface area, and what I have not been able to figure out is if this will provide substantial cooling effect. I am intending to have fish in the aquarium, and am concerned the oil will still manage to heat the overall aquarium up to an unacceptable level for the fish. The computer enclosure will be 18x8x12, and will rest on pillars to keep it off the bottom of the tank, and the top well above the water fill line. I am intending to submerge the MB/Proc/Memory,expansion cards, Power Supply (Have not decided if I want to remove it from its enclosure yet, and ideas on that are welcome) and have the entire back plate remain out of the oil (about 1/4 in. gap) I cannot see any good reason to have the oil up higher than that, and it should keep me from having siphoning issues. The Optical and Hard Drives will be located on top of the tank. The oil radiator will be mounted on the tank stand, and I have not decided what size pump I will use for circulation yet. Any considered input would be welcome. Preferably first hand observation or experience if you have worked with water or oil cooled systems. Changes in operating temperature do have an impact on the amount of additional waste energy created but it's not a significant amount and does not change the physics of the system. This means that running a PC at a cooler temperature will cause it to put out slightly less heat overall, but not by much. What's most important to remember is that water has a very high heat capacity, but it is also not very thermally conductive (certainly less so than metal). What this means is that while it may take a while to heat a volume of water up, it will be equally hard to cool it down. The question would be how do you plan to circulate the water through the oil radiator. I don't believe the convection current created within the radiator fins will be powerful enough to move an adequate amount of water in order to achieve good cooling of the radiator. Water has a high specific heat and will take a long time to get a good transfer from the oil-heated radiator to it. I am afraid you will cook the CPU well before you get to cook the fish in the tank, if you see what I'm saying. Water-cooled systems use a pump to circulate the coolant within the system; the coolant achieves a stable temperature, with mild variations between the CPU-end (hot end) and the radiator-end (cold end). The larger the amount of water and the radiator exchange surface area, the better, because of the high specific heat of the water. That's why a water-cooled system will stabilize better the temps, but will run a bit warmer than an air-cooled system at idle. Air heats up and cools very quickly, and a large radiator surface is needed along with a good fan to vent enough air in order to cool the water that is in the radiator at any given moment. Oil must have a large specific heat as well, and will not be able to remove enough heat from the radiator in a timely manner, IMO. Now, the other possibility: the radiator is outside the tank. It uses air to cool down the oil. In that case you can use a pretty good approximation method : measure the temperature of the PC case at equilibrium (after the system has been up and running for a while). Because of the water thermal properties, after immersion of the case in water you will get some drop in the oil temperature, if the water is cold, followed by a gradual rise in temperature in both (the water and the oil), and if you wait long enough, it will eventually reach about the same temp as the case was before the immersion. Adding water around the case will not create additional heat, but will create a zone of warm water adjacent to the case; eventually that will heat up the entire tank, and that will not be able to dissipate heat effectively. If the fish can take the temperature that you measured, they should be OK. Otherwise, you can create a cooling system for the tank itself; you will still end up with warmer water than in the beginning, but not as much as without cooling. Anyone else out there with some ideas? Would it be connected to a radiator, as well? Just circulating the water is good for the fish, but will not do much for the temperature of the water (unless is a thermally regulated aquarium, as well; IDK if these exist and if so, how common they are). Besides, the pump itself creates a small amount of heat that needs to be dissipated. In a fish-only scenario, the heat is dealt with by the water's cooling properties, but if you add a significant water heater like a PC in it, it might not suffice. Not bloody likely ^^ a 125W heater (which is essentially what we are talking about) could maybe heat a fishbowl to that kind of temperature but not an aquarium. It would dissipate way too fast. Does a computer heat your whole room to that temperature? NO. Water takes a lot more energy to heat up than air. That was my message in the first post. Check the temps for that system: about 40 centigrade. Your fish would not like it, for sure. If the PC is in a small room, you will definitely feel it; in my home little office, if the A/C is turned off I can reach easily 85-90 Fahrenheit. During winter, I don't even need the heater vent open; the PC warms up the room nicely. Besides, you forget that rooms are not air-tight, and that will affect the final temperature. Finally, you're right about it not needing the water bath, but it is not a matter of need, it is a project he's working on. It should look pretty cool, too, if you read through it and can picture it. You are talking about dissipating several hundred watts of heat into an aquarium? I don't foresee how your fish are going to like this unless it's a tropical tank and the fish like very warm water temps. Many people have done oil cooling and it's not as great as they originally thought. Oil isn't a very good medium when trying to cool computer components...specific heat of mineral oil is about 60% lower than that of water. It takes longer to absorb heat and takes longer to dissipate heat, making it a poor conductor or coolant. Regardless of what you wanted to do, you'd need a radiator or a heat exchanger of some sort...I'm not sure I follow your complete workflow, but trying to submerge an acrylic case into water is just asking for leaks. I'm not sure how good you are with acrylic, but of everyone I've read about who's tried this, the acrylic always finds a way to leak massive amounts of mineral oil...one guy had his apartment floor flooded with it. You can definitely try this, but 2 things are bound to happen, here: 1. the oil leaks out, meaning that medium that is acting as your coolant interface is now gone, or less effective depending on how much is lost. 2. You have the entire enclosure under water, meaning now water is displacing the mineral oil. I doubt you are using 100% distilled or anything that is non-conductive, and even if it was, as soon as the water is exposed to anything, it starts becoming conductive from particles being introduced. This water now finds it's way onto electrically charged component PCB, and causes shorts. Moving this to the watercooling forum- we've had this kind of discussion a lot over there...mineral oil submersion. Water is a better thermal conductor than mineral oil. It's one of the best liquids you can use that is cheap and easily accessible, especially when using blocks with a high surface area created by pins/matrices. Turbulence in a water loop actually is beneficial- you want turbulent flow, and do not want laminar flow. Sorry to give it to you but the whole thing is just big waste of time. As cool as it may seems it is not practical to do oil because it will make upgrades almost impossible and painful for the owner and not to mention smell and maintenance. There is enough work and maintenance to do on simple water cooling loop. I've never understood the appeal of mineral oil submersion...it's very impractical, provides lackluster cooling performance and makes a large mess. I can understand the science project concept, but even then I don't completely follow what the demonstration would help prove. I would really like to know the questions you are trying to answer or disprove with this, but I don't know that right-off I can see any that are relevant. I've seen a lot of watercooling and a lot of mineral oil submersion on many different forums and when it comes to oil submersion, it is always from people who have found those Puget computers they made or they've just Googled their way onto something similar. I'm not saying it isn't possible, I just think it's far more work and effort into something that will perform less than a normal watercooling loop on its own. - Oil is not going to cool as well as a well set up water rig. That's a given, as water has much beter thermodynamic properties for heat dissipation than oil does. However, I also should not have to flush my system every 6 months. - Oil is messy: Actually, this isn't a given, just a factor of how much you have to operate in the oil tank. If done properly, you should have tested that your system works before submerging it, in which case, you should not need to remove it from the oil again, and therefore, this is a non-issue. - This is a lot of work for lackluster cooling. Again, we understand there may be better ways to do cooling, but how do you think we found those? This is an academic exercise first, so a little work is expected. The oil cooling itself stabilizes in the 40°C range, which, while a little hot for a computer, actually remains very stable, as the oil heats all of the components on the system equally, which seems to keep it stable in what most of us would consider a high "liquid cooled" running temp. Now, that being said, I am also cognizant of the fact that the water could in fact have absolutely no effect on the temp, and as such, we are planning on having tropical fish in the tank, which are happy with temps of 80-85°F. Also, the tank will be set up as a standard fish tank, including water circulation and air infusion. I am now considering trying an additional radiator on the water to measure its effect. That will be a purely budgetary consideration, as my DOE almost had a conniption when I gave her my first prelim budget. But, as I already own almost everything we will need to try this, I might be able to swing that part as well. I am also considering using an oversize pump for the fish tank even if we don't set up a second rad just to increase the water flow throughout the tank. The radiator is intended for the oil, not the water, although that now has me thinking about a second radiator. Even without a radiator, an oil cooled system stabilizes below the failure threshold of just about all computer components (about 40°C or so), so I am not concerned with frying the system. However, I would like to have the system remain perfectly stable, and hopefully do so while overclocking it to degrees not possible otherwise. That will be one of the things we will test while doing our temp measurements. I am really hoping that the Oil-Water surface area will transfer a great deal of the heat from the oil, and that the Air-Water surface area will be sufficient to draw the majority of that heat back out of the water faster than the oil is dumping it in. I am confident that even if my theory proves incorrect, the addition of the oil radiator will ensure the oil temp remains low enough that if the oil and water stabilize at the same temp, that should only be around the 40°C level, which tropical fish are OK with. I am hoping that I am correct about the amount of thermal transfer I can achieve, however, and that I can get the system to stabilize in the 30-35°C range, which would be more that comfortable for your common goldfish. Now, I did like your idea of using a separate radiator for the water, and as I stated above, I do intend to explore this as a possible addition. I am also wondering how much affect our AC will have on the results. The setup will be in the hallway of our school, and our students are often complaining that the school is too cold. This should help the water temperature remain lower, and I do not know how much that might skew the results from somewhere the ambient temp fluctuates up more. However, if anything, that would be a question to ponder after we get the results for what we have to work with now. For that reason, we are planning to start with tropical fish, unless our tests show we get a significant drop in the stable temp from what other OCCs have shown. I am actually counting on the long heating curve of the oil to help in keeping the overall temp lower. I am hoping the oil cannot absorb heat faster than the water can remove it and dump it. But, that is why we are trying this. Hopefully I am right, and we will end up with a much lower stable operating temp. I'm not sure I follow your complete workflow, but trying to submerge an acrylic case into water is just asking for leaks. I'm not sure how good you are with acrylic, but of everyone I've read about who's tried this, the acrylic always finds a way to leak massive amounts of mineral oil...one guy had his apartment floor flooded with it. You can definitely try this, but 2 things are bound to happen, here: 1. the oil leaks out, meaning that medium that is acting as your coolant interface is now gone, or less effective depending on how much is lost. 2. You have the entire enclosure under water, meaning now water is displacing the mineral oil. I doubt you are using 100% distilled or anything that is non-conductive, and even if it was, as soon as the water is exposed to anything, it starts becoming conductive from particles being introduced. This water now finds it's way onto electrically charged component PCB, and causes shorts. If you take the time ans attention to seal your acrylic correctly, there should be no reason you cannot produce a perfectly oil tight case. After all, all of the joints will be sealed with silicone, and neither mineral oil or water is reactive to silicone. That's why they use it to seal fish tanks. Most of the OCC mods I have seen have been built using hand-made Acrylic tanks. Puget has a video showing their tank build, and that system has run for five years without needing to be topped off, and without a leak. I trust I answered this one above in the beginning. While oil cools less than water, it allows greater stability in a system at higher temps, because it heats the entire system uniformly. Most systems become thermally unstable because one component is dramatically hotter than the components working with it, and therefore it's electrical properties will be significantly different, or it just becomes too hot to perform properly at all. If all components are around the same temp, then their elec. properties should be the same. That being said, I am hoping that the water will introduce a dramatic temp decrease, while maintaining all of the advantages the oil provides. OK. a few things. First, Mineral Oil is odorless. Second, there is no water loop. I don't expect to have to maintain the water in any way I would not have to for owning a fish tank. and lastly, I will address the whole "hard to upgrade" argument that always seems to come up in these discussions. Other than the time you need to give the base tray to fully drain when removing it from the oil tank, and the fact that you will have to work on it on an absorbent surface, this system is no harder to upgrade than any other. When is the last time you purchased a faster processor (ONLY) for your computer? 99% of all computer upgrades involve the replacement of the MB/Proc/Memory bundle, because you are usually getting a new MB that won't work with your old processor or memory. Yes, the old stuff will have Min. Oil on it forever probably, but if you are upgrading, then you are probably planning to retire the old ones anyway. And if not, then you can consider the time required to alcohol the whole thing clean in your upgrade considerations. I intend to make the base tray accept a standard ATX size motherboard, and have mounting for a standard power supply. If I really need to upgrade, it will not be "difficult" but rather will mean complete replacement, and probable retirement of the existing parts. Oh, and by the way, I AM the owner, so I am accepting this as a given ahead of time. I do appreciate all of your input. Please, review the original post, and the replies, and if you have any other insight, it is welcome and appreciated. Also don't forget that mineral oil in a submerged cooling setup tends to deteriorate thermal paste and other interface materials. I'm very interested, so my replies are simply based on what we've dealt with before, although you have a very specific purpose for doing so- education. Are you going to show a work log and photos of the build and operation? Yes. We will be logging this project and photo journaling it as well. I do not know what our ability to video it will be yet, however. Sounds good, video is always optional but pics and some kind of build log is great for the forum...always good to see DIY ideas in action. Have you contacted Puget Systems? They are pretty much the main mineral oil cooling people. I think they even sell such systems. As I recall they will happily answer questions. OK, quick update. As recommended, I did contact Puget, and yes, they were very happy to discuss my concept and their experiences. That being the case, and in conjunction with the fact that I totally screwed up my C/F conversions, the actual goal of the project will be to see if we can "bleed off" enough of the system's heat to allow tropical fish. Evidently, what I read before was incorrect. Puget let me know their system found stable temp at about 50°C, which I would see as a simple challenge of cutting 10°C from the system temp. Then, I actually started thinking what my system exhaust feels like, and I know my system is running at around 37°C air cooled, and it is WARM. So, I took myself to a temp conversion site, and lo and behold, 40°C is actually 104°F, NOT 85°F, already 20°F too hot for the comfort of the fish. With the new target temp of 50°C, this is 122°F, which means we will need to be able to bring the system to a stable working temperature 45°F/25°C lower than the Puget system while at load, if we want to be able to introduce fish to the water. Also concerning is the fact that Puget used only seamless acrylic tanks (pre-built fish tank) for their project, as they did not trust the mineral oil would not deteriorate the silicone sealant of a hand built system. I have actually seen enough case mods using acrylic cases that have in fact run OC that I am willing to work with it, but I would REALLY appreciate someone that has done this mod with such a case to let me know what pitfalls you experience, and if you had a failure, whether it was a problem with the oil breaking down the setup, or just a bad seal in the first place. If noone can give me real world experience on this one, I may consider sacrificing a second small tank instead of fabbing my own, or else fab the tank, and measure and record the performance of the tank in containing the oil. Also, I am beginning to see the need for a second radiator to cool the water as being more and more necessary. What I have not decided, is whether a water-cooling radiator for a liquid cooling rig would be better that doing a second car radiator like the one we will use for the oil, as it will very likely be a larger radiator, and I will have a much larger volume of water to cool than a liquid cooling reservoir. Liquid coolers, your input would be very welcome on that one, especially of you're also a professional, shade tree, or hobby car mechanic. So, the project continues, but now we have a concrete end goal. Our very own shark tank. There are all kinds of tricks to reducing heat, like undervolting. I suppose a water chiller would be cheating? 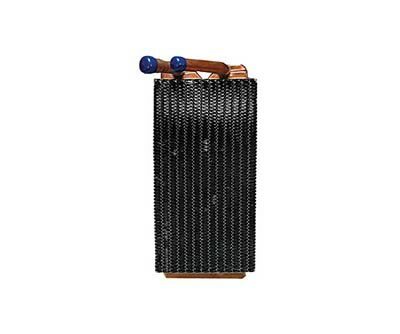 Depending on your budget for this build, a car radiator might not really be what you want. A large heater core (or 2) from say a 70's Pontiac Bonneville or even oil/transmission coolers from large trucks work relatively well- I've used various models of each and actually have a Chevette heater core with JB Welded 3/8" barbs and an oil cooler for a large truck that I used at one point that fits 1/2" tubing quite well. For pumps, you can use small pond pumps at pet stores or even on Ebay. Let me know if you need any help with all this...I've looked into pumps of all kinds from all places. Hydor makes some good, cheap pumps that are used for fish tanks and at one point some were modified for PC watercooling as well. At some point you are going to want a heat exchanger, likely a few depending on your final project plan. 4ryan6 also is someone who has done a decent amount of DIY watercooling, be sure to check out his beer cooler project in the watercooling forum. I know it isn't something specific to what you want to do, but he also might have some ideas on something like this. I'm in- let me know what kind of info you might need. PM me if you need anything specific. This is quite true, it's worth a valid look for this project to reduce overall heat load. Perhaps, but if you aren't cheating, you aren't trying to win. also what are the System's spec's? Is it going to be a Core i7 with an Nvidia 580GTX? Or AMD Buldozer with a Radeon 7970? How about gaming? Are you going to see if long gaming trends have an effect on Oil temp. Like Battlefield 3 for like 3 hours or Crysis? What are you going to be running? Benchmarks like 3DMark 11? One thing that I am concerned with is the Fish and the oil rad. What if the Rad leaks into the tank with the Fish. I'm a person who really dose not like animal testing for like medications as I feel we made the meds, we should test it on bacterium or somthing other than inocent animals.